The Telegraph warns of a possible permanent recession for Italy. Please consider Italy May Face 'Perma-Recession' as ECB Warns of Hazards Ahead. Ambrose Evans-Pritchard warns The European Central Bank has let deflation take hold and is now an impotent spectator. Mr Draghi knows - but cannot admit - that the ECB was forced to shut down QE prematurely under pressure from Germany and the northern bloc. The real motives were political, rooted in the dysfunctional character of Europe’s half-built monetary union and German fears of debt union by stealth. 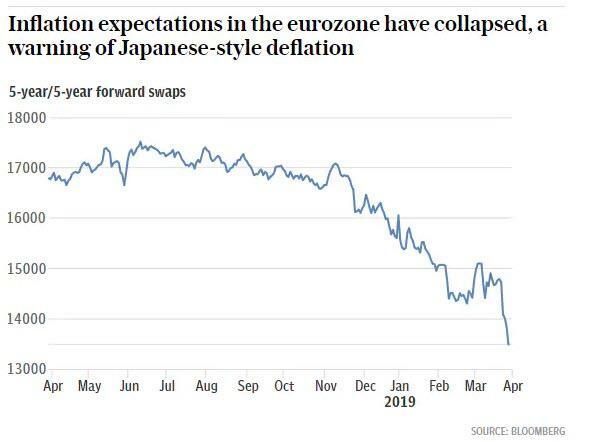 It would take ‘helicopter money’ or people’s QE injected into the veins of the real economy to pull Europe out of a deflationary vortex in today’s circumstances. That would breach the Lisbon Treaty and precipitate a storm in the German constitutional court. In a sense Europe is paying the price for policy errors made almost a decade ago. The ECB should never have raised rates in 2011 and triggered EMU's double-dip recession. It should not have delayed QE for five years after the Fed had already shown the way. This inertia - or hubris - allowed 'Japanese' pathologies to take root. Now the task is becoming impossible. One hike too many does not cause a recession. Nor does one hike less prevent one. The EU's problems are structural. One size fits all does not work with interest rates. 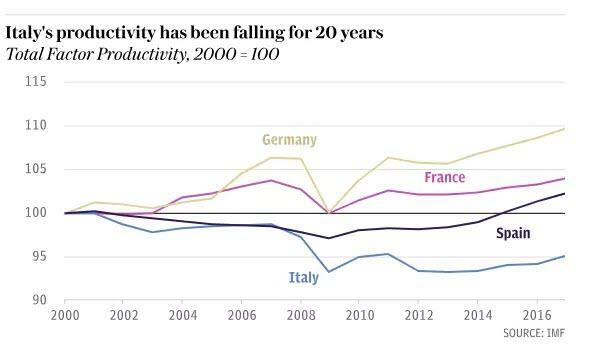 There are enormous productivity differences between peripheral Europe and Germany. The Euro is a failure and contributes to the mess. Italy, Greece, and even France need huge work rule changes. France does not need tax hikes. All this talk of "austerity" is a joke. France and Spain have missed budget targets for a decade. 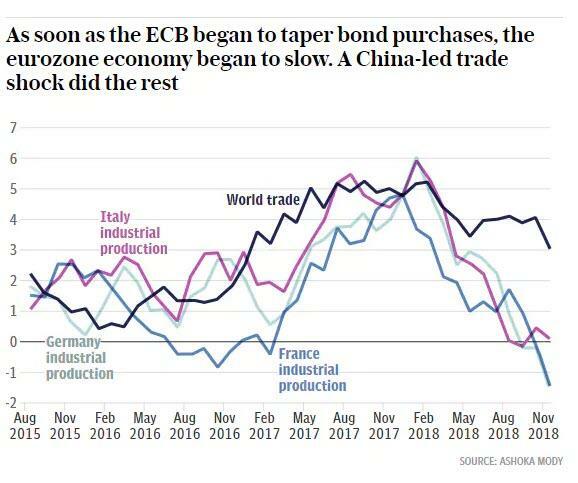 Yet here we are, Europe is headed for recession if indeed not in one already. Monetarists like Pritchard blame the ECB. The ECB's negative interest rates were counterproductive, but that's what the monetarists want. One does not cure structural problems with central bank policies even if by some miracle central banks could divine the best interest rate. In the Eurozone, that's not even possible because one size doesn't fit all. Finally, the inflation expectation meme is absurd. Those who don't understand why should take a look at Hello Jerome Powell, We Have Questions.